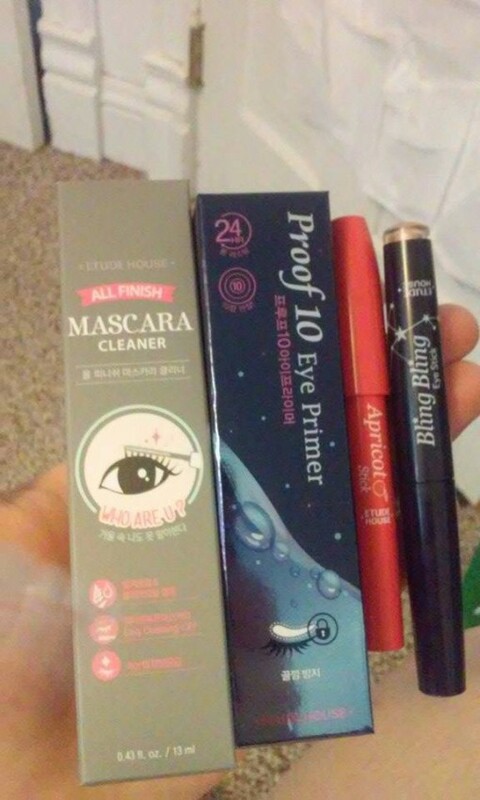 So, I actually just got done editing and publishing a drug store haul on my other site, Random Happiness not too long ago, and I actually mentioned my Etude House items once, since I was still waiting for them. GUESS WHAT SHOWED UP AT MY DOOR NOT EVEN 10 MINUTES AGO??? Yep, my Etude House products! Okay, so I ordered from Etude House awhile ago, and I actually have the majority of these products from drugstore hauls, but in American brands. I’m impatient like that. However, I was still stoked to find this at my door today. Okay I didn’t find it. The mailman pounded on my door, nearly giving me a heart attack and handed me the box once I signed for it. 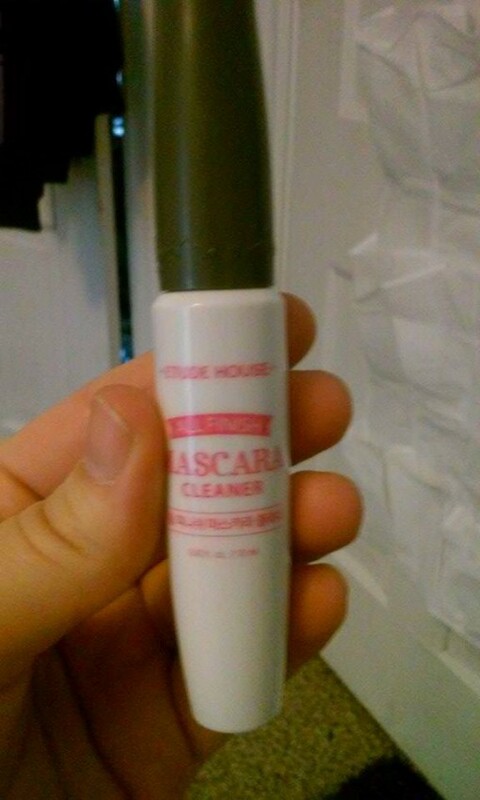 Let’s start off with this, which is All Finish Mascara Cleaner. You apply it to your lashes after you’ve washed your face, and gently wipe away with a cotton ball/pad, I used a cotton swab, and wipe until you don’t see mascara coming off anymore. It really works! I just did it because I washed my face this morning, and I know it doesn’t all come off while I’m washing my face or using the facial wipes. Great product, and I highly recommend it! 5 out of 5 stars for you! So, when I ordered this, I thought, yeah, gloss! In fact, Apricot Stick gloss in #3. But…it’s more like a lipstick or a tinted balm. My bad decision actually came when i was applying it and didn’t see any color, so I swatched it on my hand. It appeared there, but then I realized…it’s the color of my lips. *facepalm. 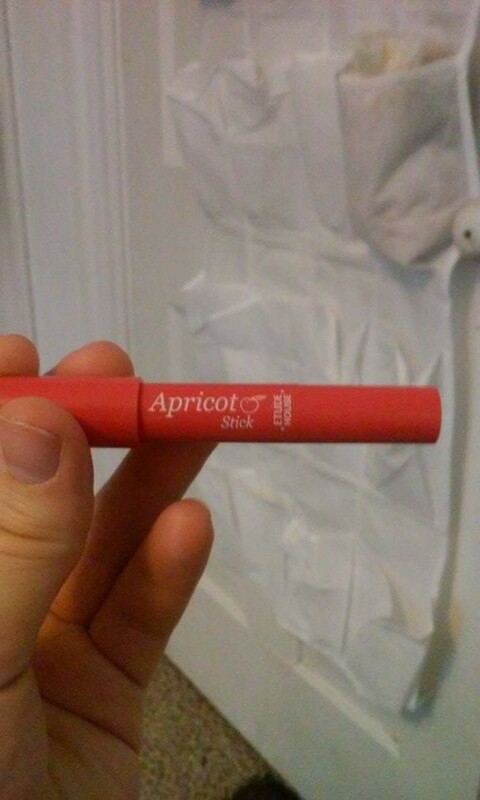 So in fewer words, even though I feel the product, it does not ‘show up’ on my lips. This is the product I’ve REALLY been waiting for. 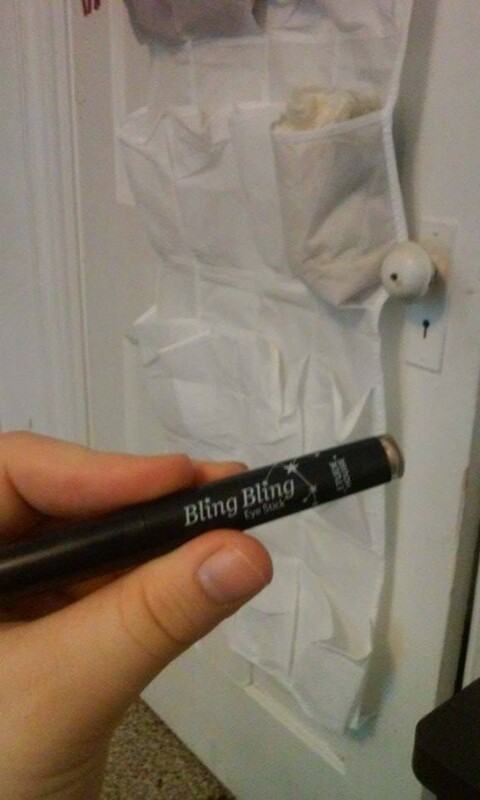 The Bling Bling Eye Stick, which I ordered in Ivory Babystar. It’s a beautiful shimmery, light gold and it applies very easily, and has a nice amount of product in it. 5 out of 5 stars for you. 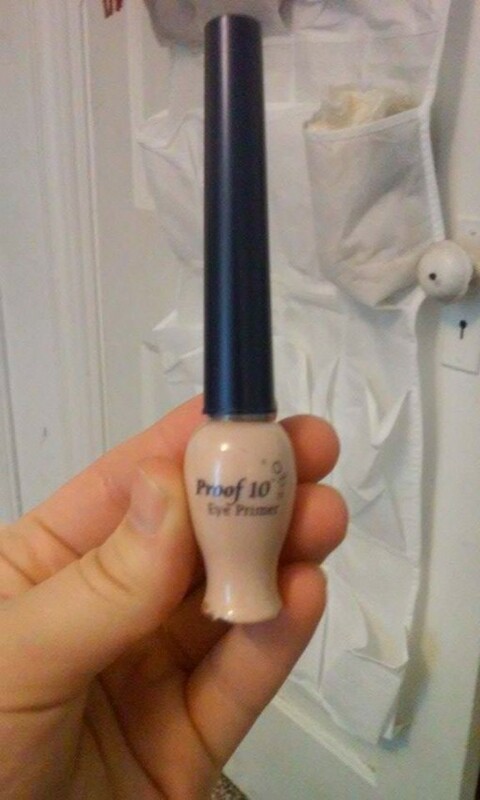 Last but not least is the Proof 10 Eye Primer, which I bought BEFORE my Too Faced AND Lorac primers. I technically didn’t buy those ones anyway (I did but I didn’t, intentionally anyway) they just came with the other products I was buying. Anyway, I tested this out, and it makes the eye shadow more vibrant, and does make it last longer, just like the description says. Not only that, but this primer comes with an applicator. Bonus points for not getting my fingers dirty. Overall, I am very impressed with the quality of the products that I ordered. Remember when ordering from overseas, you might pay a lot in shipping. Even though the products are reasonably priced online, shipping ate my money, no joke. Like these products? Buy them from Etude House’s global website!